Buying a massage chair is a stress inducing process, which is ironic given their primary function of providing comfort and relaxation. 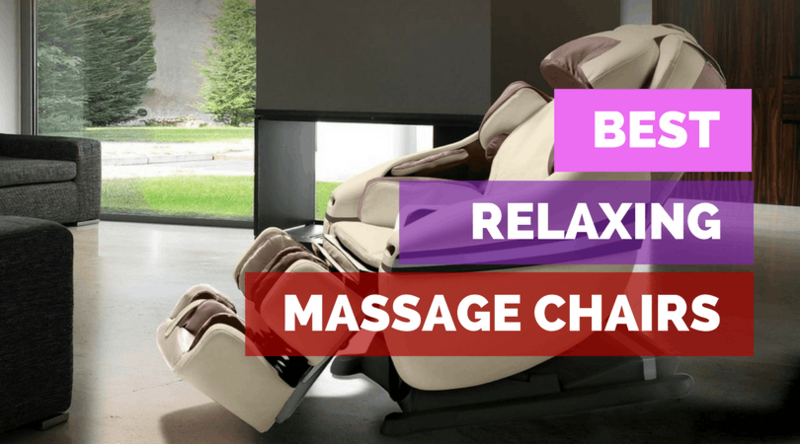 This is mostly down to the sheer number of options available in the massage chair market, the hefty price tags and often misleading reviews that add to the confusion. 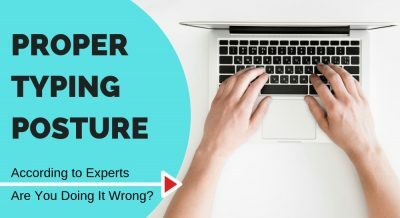 This guide cuts through all the confusion and potential buyer’s remorse of purchasing the wrong massage chair, by rounding up the absolute best massage chairs for 2019, and then categorizing them by price. This way, whatever your budget, you can be assured you’re getting the very best massage chair in its class, to ease body tension, increase blood flow and circulation, and promote overall wellness just by relaxing in a chair for 30 minutes a day. Lets get started. The budget segment for massage chairs is riddled with low quality products with disappointing performance, but BestMassage’s Zero Gravity Chair is a welcome departure from the norm. It has a solid set of features, reliable performance and excellent customer reviews, all at a budget price of less than $900, making it our pick for the best budget massage chair. This chair does an excellent job of massaging along the whole length of the spine down till the glutes and thighs thanks to its extended L shaped design. Specialized rollers along the back stimulate acupuncture (or tsubo) points along the sides of the spine and neck for the shiatsu effect. 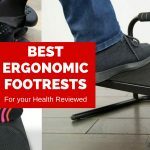 This comprehensive coverage from the rollers alongside the heating pads in the lumbar region create a soothing effect, letting the chair work out the tension along the length of your body. Part of this chair’s efficacy in relaxing you is the intelligent control system which automatically adjusts the rollers positions. It does this by measuring the height and width of your shoulders, thereby providing you with a custom massage specifically catering to your individual dimensions. Moreover, it also means it can be used by any member of the family regardless of their body structure with no compromise on performance. This chair also features a zero gravity seating position, which is amazing for a budget price point. 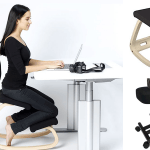 Despite the gimmicky name, this seating position is inspired from NASA research and ensures even distribution of your body weight across the chair. This ensures optimal comfort and smooth flow of blood through the body, making it significantly easier to unwind. All in all, Best Massage’s Zero Gravity Chair is packed full of functionality at a very economical price. It does come with some issues such as annoyingly noisy airbags which some users might find taxing. Most of the construction is also plastic and the faux leather covers do not feel particularly luxurious. However, customer reviews on Amazon are overwhelmingly positive with 86% of customers giving it 4 stars or more. Overall, this chair’s great performance and wide array of functions trumps the few cons making it our pick for the best massage chair under a thousand dollars. Features airbags for the forearms and wrist which is rare for this price point. Heating functionality for added relaxation. Excellent customer reviews on Amazon. Slightly higher up in the price spectrum, we chose the Kahuna LM6800 as our pick in the under 2000 dollars category. 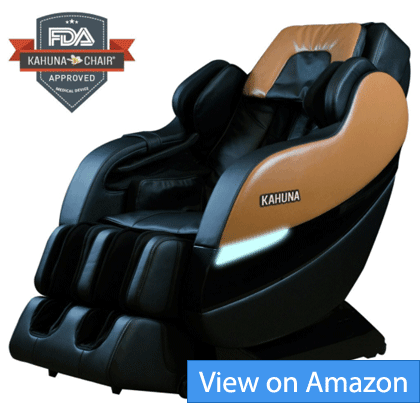 A more established name in the massage chair niche, Kahuna has a great brand presence and is renowned for its well featured and well-priced offerings. The LM6800, at $1899.99, is very competitively priced, especially considering the number of features it packs. With 36 airbags and an L-track design, this chair is conceived with the express aim of unclenching those stiff muscles along your back. The 4 roller design extends the chair’s capabilities to let the rollers work their way down till your glutes, kneading the tsubo points across a larger area to ease the tight muscles. Add in dedicated airbags for your arms and legs, along with heating pads for the lower back and calves, and this chair’s sole purpose is to relax you to the utmost. A unique feature in this price point is the Yoga program that really sets this chair apart from the competition. By using airbags to grip you, the chair moves to gently stretch your tired muscles with special emphasis on easing the tension in your shoulders and neck. The dual effect of the compression massage and gentle stretching works wonders on the tense muscle and greatly enhances recovery time. You can control your LM6800 using the attached remote, with 4 preprogrammed modes targeting individual parts of your body at the press of a single button. There are numerous manual settings as well as controls for the intensity and heating pad temperature to really optimize each massage session for your specific needs. The chair also features a three stage zero gravity seating position for added comfort. All in all, the Kahuna LM6800 is an excellent value for money offering from a reputed seller, with an excellent 3 year warranty period and great customer support. Amazon reviews are almost entirely positive, although the complicated remote control does have a learning curve and is not the most user friendly design in offer in this segment. That said, the chair ticks all the boxes with its L-track design, Yoga program and zero gravity seating position to make it one of the best massage chairs in the market. Yoga mode for stretching shoulders, neck and pelvis among others. Space saving design means it requires less space than most other chairs in the market. Zero gravity seating position for better weight distribution. In the under 3000 dollar price category, we see another Kahuna product getting the top spot. At less than $2,600, the SM-7300 builds on the set of features we saw in the LM6800, more modes and added functionality to give you greatly enhance your experience. Like most Kahuna products, the SM-7300 does not compromise on massage performance. This model one-ups the LM6800 with its SL-Track design featuring 2 more rollers to take the total count up to 6. Not only does this extend the deep tissue massage reach of the chair from the base of your head down till your thighs, but it also gives the chair access to more Shiatsu points with greater precision. To complete the full body massage, the chair has the standard arm and foot rests with airbags. We also see the return of the Yoga stretching mode we loved in the LM6800. Similarities with the lower end model end here though, with a larger set of preprogrammed functions that greatly simplify the process of choosing your massage. The Recovery and Pain Relief presets are welcome additions, taking full advantage of the SL-track system to knead away at tsubo points to alleviate pain and promote wellbeing. New modes have also been added to help you choose the intensity of each massage session, ranging for a very gentle massage in Senior mode to a more rigorous, deep tissue massage in Dynamic Sports Mode. As a result of all these presets and modes, using this chair is considerably simpler than the complicated interface of the LM6800. Zero gravity seating is also included with this chair, raising the user’s leg to an equal or higher level than their heart for a better weight distribution across the chair. It also features Kahuna’s Space saving technology that requires just 3 inches from the wall for the chair to be fully extended. Perhaps the biggest trump card of this chair is that it is one of the few that caters to larger users. With a 320 lb weight capacity and extendable leg supports to cater to users up to 6.5 feet tall, the SM-7300 is one of the few chairs in the market catering to larger users. All in all, the SM-7300’s diverse set of features and mid-range price make it ideal for anyone looking for something over the budget offerings. The preset automassage settings and modes alongside the 6 roller design definitely make this chair stand out in terms of massage performance. However, the lack of calf heating is also a strange decision on Kahuna’s behalf as is the single zero gravity position, considering that the lower end LM6800 features both. The 2 year warranty for parts and labor is also on the low side. That said, customers are overwhelmingly positive with their reviews for this chair, lauding its plethora of massage modes and Kahuna’s great customer support, thereby securing its position as the best massage chair under 3000 dollars in our list. Inada is one of the oldest names in the massage chair industry, with Nichimu Inada creating the first Shiatsu massage chair in 1962. Needless to say, their products are amongst the finest in the market and give you premium performance well worth your money. At less than $4,500, their high end Flex 3 line is our pick for best massage chair under 5000 dollars. What sets Inada’s products apart is the amount of research and development they put in. This is particularly noticeable in the Flex 3S where the rollers and aircells work in specialized choreographed movements. These movements have been designed to stretch and compress muscles, gradually loosening them to make you feel lighter and more relaxed. The aircells give Inada’s product more precise control over their motions than conventional airbags. The smaller design also does a better job of mimicking a human’s touch, resulting in a more natural massage experience. The chair also uses the company’s proprietary 3D rollers that that have the ability to move inwards using airbags attached to the roller arms. This gives you very precise control over the amount of pressure the rollers exert for a truly customized massage. The chair also features channels along the sides to accommodate your arms and deliver a comforting aircell massage along the forearms and wrists. Moreover, heating pads in the arm rests and foot rests provide gentle heating simulating a hot stone massage for added relaxation. The biggest highlight of this chair is perhaps the emphasis on using stretching alongside conventional massage techniques. 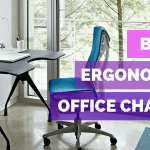 This upholds the chair’s aim to not only relax you but also improve your posture, which is particularly useful given our increasingly sedentary lifestyle. 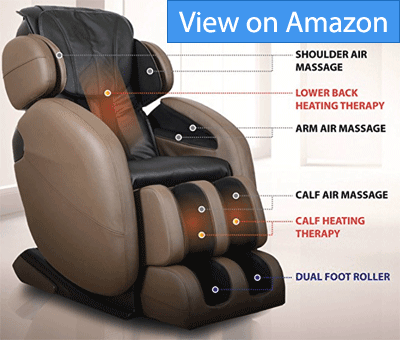 Four preprogrammed massage modes are prominently placed on the large remote with manual controls also available, making the chair simple to use without compromising on customizability. 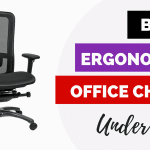 The chair also has thoughtful additions like extensible leg rests to accommodate larger users as well as lumbar support for additional cushioning. All in all, the Inada Flex 3S provides one of the best massage chair experiences in any price range. The choreographed movements use the 3D rollers and air cells to not only relax your body but also improve your posture. That said, the chair does not include a zero gravity seating position which is a letdown given the high price point. Lower back heating pads are also a feature that is missing despite being quite common in budget models. Despite that, the Flex 3S with its top end massage performance, legendary Japanese build quality and 3 year warranty, is one of the best massage chairs in the market today. If budget is not a restriction, then our pick for the best massage chair would have to another Inada product: their top of the line Dreamwave massage chair. 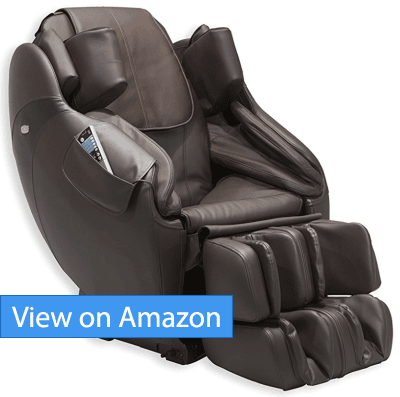 At under $9,000,, this is the best massage chair in the market today providing you with a truly unrivaled experience. Like most Inada products, the chair’s focus is not only on providing comfort and relaxation but also to have a therapeutic effect. It does this by placing an emphasis on stretching movements alongside the massage to improve the user’s posture and loosening tight joints, thereby promoting blood flow through the muscle and relaxing you. The 3D rollers we loved in the Flex 3S are back in this model as well, albeit with a wider range of motion for a more diverse variety of movements. Aircells have been uprated to 100 hinting at some of the features that truly elevate this chair above the competition. For starters, the chair features a full arms massage with 20 aircells on each side to not only massage the forearms and fingertips, but also the upper arm. Moreover, the head rest and neck rest designs have been upgraded for a new feature called Shugi stretching that focuses on easing the tension in the neck and shoulders. Shoulder bolsters also gently embrace you as you sit to manipulate the front of the shoulders to provide a truly all-encompassing massage experience. Another industry first is a unique swinging motion built into the seat through complementary movement of airbags along the sides of the seat. Not only does this gently lull you into relaxation, but it also carries on with the chair’s aim of improving your body with the gentle movement stretching the pelvis. 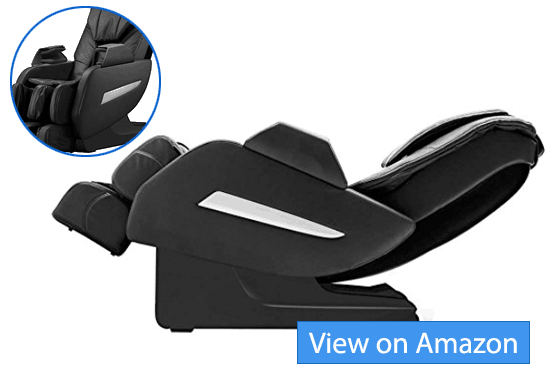 All in all, the Dreamwave is truly one of the best massage chairs in the market today. 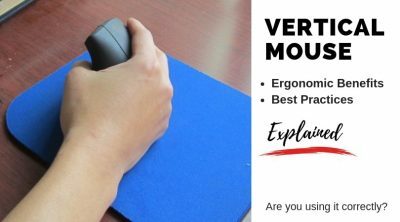 It features innovative new technology including full arm massages, shoulder and neck combinations and a swing function you will be hard pressed to find in any competitors. That said, the control interface is not as intuitive as the lower end Flex 3S we reviewed and the lack of palm and feet sole heating is also noticeable. But if your requirement is unsurpassed massage performance, the Dreamwave is unbeatable. Zero gravity seating positions are becoming an increasingly common feature in massage chair, with many users lauding their effectiveness. The seating position adds to the calming effects of the massage, promoting relaxation in the user. 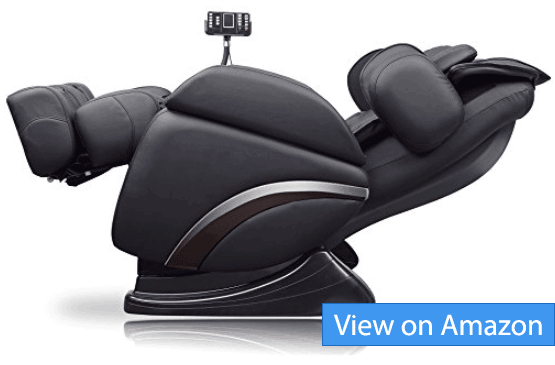 Ideal Massage’s Zero Gravity Shiatsu massage chair makes effective use of this feature alongside numerous other well designed attributes, making it our pick for best zero gravity massage chair. Our first impression about this massage chair was genuine surprise at the amount of features it packs for its budget price point (less than $1,500). Let’s start off with the highlight feature which is the three zero gravity seating positions. This seating position is inspired from the reclined seat positions of astronauts, forcing the legs to be at the same height as the heart to even out the blood flow. This spreads out the weight uniformly across the chair, while also intensifying the massage as your entire weight presses you into their chair. The result is a far more soothing experience as the dual effect of the seating position and the massage rubbing away the tension from your muscles. In terms of massage performance, this chair is quite evenly matched with the Kahuna LM6800 discussed earlier. The back roller is an S-track design that does a good job of mimicking human hands while having a far greater reach than the L-track design of the LM6800. They reach all the way to the thighs for a more through massage experience. The forearm area is well catered with a uniquely designed armrest, albeit it can be slightly uncomfortable during use in the upright position. For the feet, we have a conventional foot massage setup with airbags and balls for the soles of the feet. The user interface is amongst the simplest we have seen, but definitely lacks the custom options our other picks offered. That said, the four auto presets do a fair job by covering most of the requirements an average user would have. The chair does feature vibration and heating pads along the lumbar region, all easily controlled at the touch of a button. All things considered, this chair packs a lot of punch for the price tag. The S-track system does an excellent job of letting those rollers reach a wider range of areas while relaxing the zero gravity seating position for optimal comfort. The lack of detailed manual settings is noticeable though, but has not stopped users from giving this chair raving reviews and a 4.3 start rating on its Amazon page. The comprehensive 3 year warranty does convey the manufacturer’s confidence in their product and solidifies this chair’s place in our list. The J6800 from Johnson Health Tech was one of the surprises of the bunch, with a really solid massage performance. It is our pick for the best deep tissue massage chair, designed to deliver a stronger massage than conventional chairs and especially useful for people with chronic back pain or a physically demanding job. At the heart of the J6800’s deep tissue massage is the 4D mechanism. It builds up on the 3D mechanism we have seen in other products that use airbags behind the rollers to let them move inwards, pressing down deeper into the users back for a higher intensity massage. The J6800 takes this control to whole new level of precision, adjusting the rhythm and intensity in the middle of movements to give you a deeper, more penetrating massage that will rub away the knots in muscles. The deeper massage will also ease blood flow and promote a sense of wellbeing after the massage is done. In addition to the 4D design, the chair has the standard set of features we have seen so far. It uses 31 LLDPE airbags which give it faster, more precise control over the airflow, using a pulsating motion to enhance blood flow through the arms, legs, shoulders and back. The chair also features removable heating pads that can be placed along the back, shoulders or arms which is definitely a thoughtful feature, letting you direct heat areas you feel need it most. 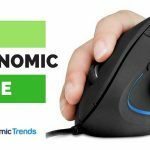 Another notable feature is the 11 preprogrammed massage courses that do an excellent job of covering almost any user’s preference at the touch of a button. For the more discerning users, manual control is also available to let you customize your massage experience. 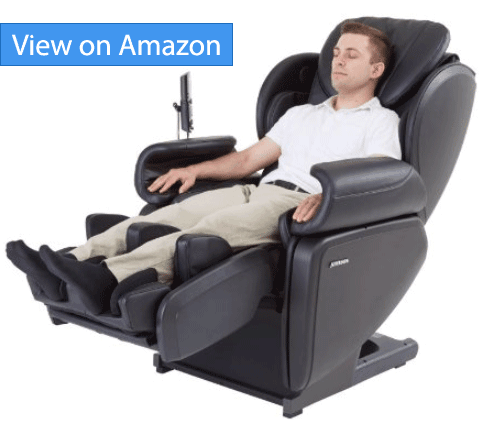 The chair also has built in surround sound with the added bonus of synchronizing the massage to the music you play through it, adding a unique dimension to the experience. In conclusion, the J6800s 4D roller design allow it give deep, penetrating massages that are bound to resonate with users. Unique features the removable heating pad, large library of preprogrammed functions and music integration really make the chair stand out. That said, the roller design does restrict its reach to the lower back which is a definite shortcoming as competitors in this price range offering deep messages till the thighs. 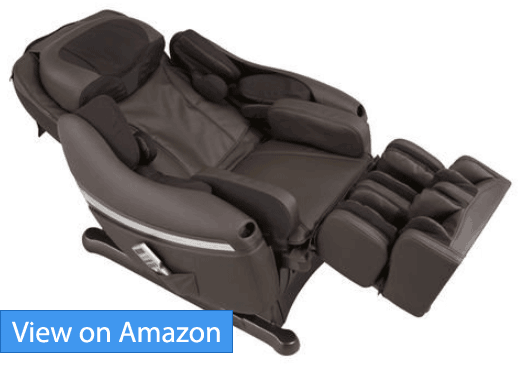 However, the 3 year warranty, excellent Amazon reviews and overall craftsmanship of the product ensure its place in our list of best massages chairs. Just like different massages offer different benefits, different massage chairs cater to different user requirements. Some are designed to solely accommodate users looking for a relaxing, stress reducing massage after a long day at work. Others users might be aiming to alleviate chronic pain issues with a deep massage which required more specialized equipment. A massage chair is a hefty investment with quality products easily running into the thousands of dollars. It is important to pin down your budget and the maximum amount you are willing to spend. Only then should you start searching for products that fit your needs. When choosing a chair, ensure that it is designed for your body type. This is very relevant to users who are above or below average height and weight. Go through the spec list in detail to make sure your chair will fit you well and test fit your final choices before making the purchase. Exceeding your chair’s weight limit can affect its durability. Massage chairs are quite large pieces of equipment so make sure you have space for them. Check the manufacturer supplied dimensions and measure out the space you have allocated. Most of these chairs have reclining functions so it is important to have lots of free space around them. And in some cases, narrow doorways might present a challenge in even getting the chair into the room.